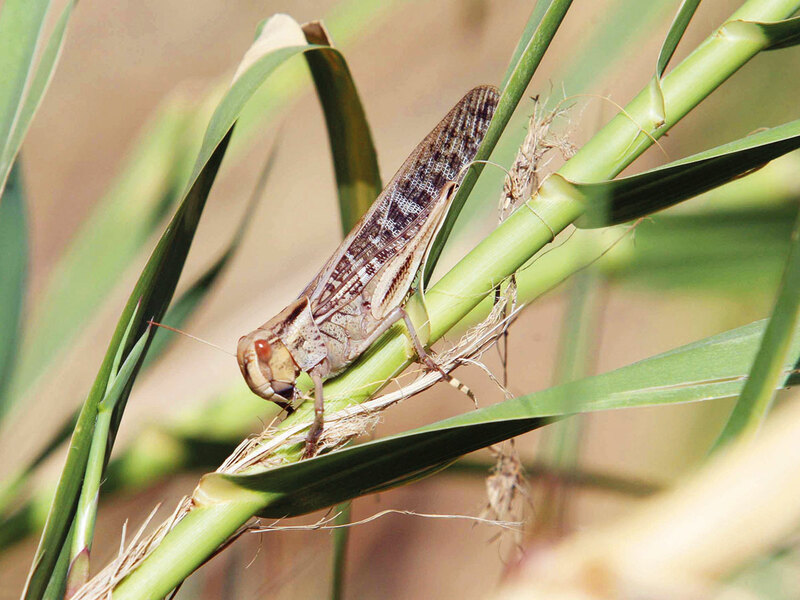 Abu Dhabi: The Environment Agency in Abu Dhabi (EAD) confirmed on Thursday that they have brought a plague of locusts under control in Al Dhafra. The infestation didn’t have any adverse environmental or economic effects, according to a statement from the EAD. “The locusts are being contained with the help of other local authorities,” said the agency. “As part of a targeted action plan, the application of ultra-low volume (ULV) pesticide will begin to exterminate the locust population in the coming days. This will also reduce its spread and prevent potential damage to crops and other greenery. Explaining the sudden onslaught of pests, the agency said: “In the winter certain areas of the UAE are prone to desert locust swarms due to their migration from coastal areas of neighbouring countries. According to the Food and Agriculture Organisation of the United Nations, locusts are considered to be one of the most dangerous pests threatening crop production and food security. Its ability to survive and breed under various climates in areas covering 29 million square kilometres from the Atlantic Ocean in the west to China in the east — covering 64 countries and 20 per cent of the world’s land mass — makes it a significant threat to agriculture. An official from the security control department in Al Ruwais confirmed the plague of locusts to Gulf News but said there were no reports of damage to residents, farms or other property. “The situation is under control and the number of locusts has reduced today (Thursday) compared to yesterday (Wednesday) but there are still some here,” said the official. Pest control treatments are being sprayed in Al Ruwais to disperse the remaining locusts, he added. A Gulf News readers’ video portrayed thousands of locusts swarming the western region on Wednesday. The EAD has warned the public against collecting the pests in case they pose a health hazard. Any related enquiries can be made through Abu Dhabi’s government contact centre on 800 5555. What are locusts and why do they swarm? Grasshopper-like insects that are usually solitary, but can become gregarious and prone to swarming upon the release of serotonin. This is thought to be brought about as a defence mechanism, out of desperation, driven by hunger and necessity, when their habitat is at threat and they need to suddenly move en masse to pastures new to ensure survival. During this time they can eat their own body weight in vegetation causing considerable damage to agriculture in habitats that could affect the livelihoods of one-tenth of the world’s population. They don’t harm humans directly but do carry disease and their destruction has previously led to famine. Scientists are now looking for the key to prevent the release of serotonin before it happens in order to avoid such swarms.